November 11 is Veterans Day, an annual holiday set aside to honor the contributions of the brave men and women who have served or are serving in the United States Armed Forces. Coinciding with Veterans Day, this month also marks the 239th anniversary of the Marine Corps. On November 10, 1775, the Continental Congress passed a resolution stating that “two Battalions of Marines be raised,” for service as landing forces for the Continental Navy. This resolution established the Continental Marines, and thus is now recognized as the official birthday of the U.S. Marine Corps. In celebration of the bravery and sacrifice of all the U.S. veterans and the U.S. Marine Corps birthday, Government Book talk is highlighting the following new veterans and military titles currently available from the U.S Government Bookstore. Federal Benefits for Veterans, Dependents and Survivors is the annual publication from the U.S. Department of Veterans Affairs that provides a complete summary of all Federal benefits available to qualified American veterans of the United States armed forces, including their dependents and survivors. It is the must-have resource for veterans and veterans’ families to use to ensure that they have the latest information on the benefits and rights earned by these veterans in service of our nation. A first of its kind, this book—of, by, and for the noncommissioned officer and petty officer—is a comprehensive explanation of the enlisted leader across the U.S. Armed Services. It complements The Armed Forces Officer, the latest edition of which was published by NDU Press in 2007, as well as the Services’ NCO/PO manuals and handbooks. Liberating Kuwait is the official history of U.S. Marine Corps operations during the 1990-1991 Gulf War with Iraq. It covers such topics as Marines in the embassies in Kuwait and Iraq, Operations Desert Shield and Desert Storm, the Battle of al-Khafji, the liberation of Kuwait, and the amphibious feint. This publication contains 24 color maps and numerous black and white and color photographs. The Marine Corps Planning Process (MCPP) supports the Marine Corps warfighting philosophy of maneuver warfare. Since planning is an essential and significant part of command and control, the Marine Corps Planning Process recognizes the commander’s central role as the decision maker. It helps organize the thought processes of a commander and his staff throughout the planning and execution of military operations. The Marine Corps Planning Process focuses on the mission and the threat. It capitalizes on the principle of unity of effort and supports the establishment and maintenance of tempo. The Marine Corps Planning Process is applicable across the range of military operations and is designed for use at any echelon of command. The process can be as detailed or as abbreviated as time, staff resources, experience, and the situation permit. You Cannot Surge Trust comprises four case studies in which naval historians from the U.S., Canada, Australia, and the U.K. explain how naval powers created a multinational, or “combined,” framework of interoperability while under national rules of engagement. The four crises addressed are maritime interdiction operations during the First Gulf War (1990-1991), and later in 2001-2003 as part of Operation Enduring Freedom; naval operations off the Federal Republic of Yugoslavia in Operation Sharp Guard (1991-1996); and peacekeeping operations in East Timor during Operation Stabilise (1999-2000). This 4th revision of this popular Borden Institute reference on emergency surgery includes everything from war wounds to anesthesia, even covering gynecologic and pediatric emergencies, making this a must-have medical reference for civilian emergency medical personnel as well as military doctors and nurses. The Coast Guard Incident Management Handbook (IMH) is designed to assist Coast Guard personnel in the use of the National Incident Management System (NIMS) and the Incident Command System (ICS) during response operations and planned events. The Incident Management Handbook is an easy reference job aid for responders. It is not a policy document, but rather guidance for response personnel. May is National Military Appreciation Month (NMAM), a time to recognize and celebrate the contributions of the courageous men and women who have served or are currently serving in the United States Armed Forces. Designated by Congress, NMAM encourages Americans to publicly show their appreciation for the sacrifices—and accomplishments—made by our military personnel. During this important month, Americans have the opportunity to come together to thank our military for their patriotic service in support of our country, at several national events planned throughout the month. 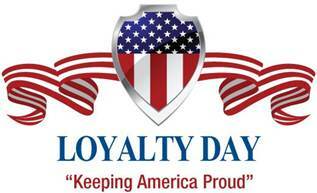 Other important events honoring our military’s achievements include Victory in Europe (VE) Day celebrated on May 8, Military Spouse Appreciation Day celebrated on May 9, Armed Forces Day celebrated on May 17, and Memorial Day celebrated on May 26. 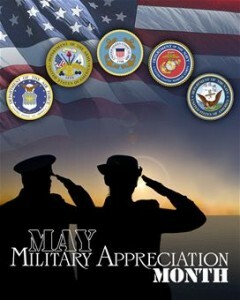 Armed Forces Day and Memorial Day are the best known of the May military-themed holidays. 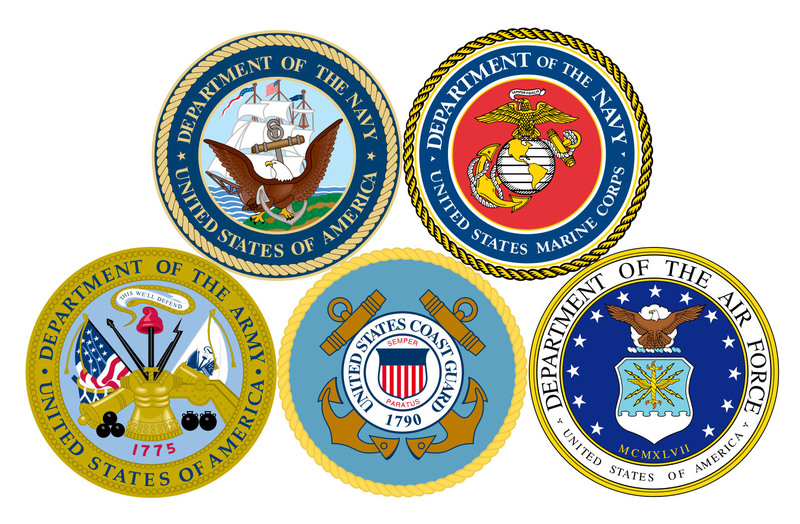 Armed Forces Day, which was created to honor all branches of the U.S. Military, replaced separate Army, Navy and Air Force Days. 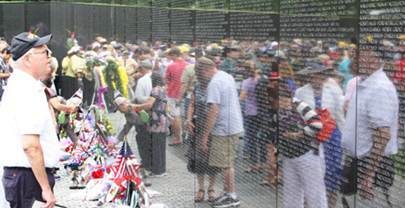 And Memorial Day commemorates the men and women who died while serving in military service. In observance of NMAM and the other important events around the country honoring our military this month, Government Book Talk is highlighting several of our bestselling military journals and magazines. Army History is published by the U.S. Army Center of Military History (CMH). It is a professional military magazine devoted to informing the military history community about new work on the Army’s history. Issues include illustrated articles, commentaries, book reviews, and news about Army history and the U.S. Army Center of Military History. Naval Aviation News is the flagship publication of naval aviation. It covers all aspects of naval air operations. Featured articles review the latest technological advances in aircraft and weapon systems and the influence of U.S. naval air power in global events. Issues include historical profiles of aircraft, aviation ships, important aviators, and organizations that affected the Navy’s control of the air. As one of the premier military magazines/military journals, Military Review provides a forum for original thought and debate on the art and science of land warfare and other issues of current interest to the U.S. Army and the Department of Defense. Joint Force Quarterly is designed for national security professionals in and out of the U.S. Government to promote understanding of the integrated employment of land, sea, air, space, and special operations forces. This journal focuses on joint doctrine, integrated operations, coalition warfare, contingency planning, military operations conducted across the spectrum of conflict, and joint force development. by the U.S. Army Acquisition Support Center within the Office of the Assistant Secretary of the Army for Acquisition, Logistics, and Technology or AL&T. This official military magazine reports on Army research, development and acquisition and includes articles relative to state-of-the-art technology, capabilities, processes, procedures, techniques, and management philosophy, focusing heavily on lessons learned and best business practices. How can I get these military magazine/journal publications? Watch this US Air Force birthday video on YouTube. However, if you add in the years since the Army Air Corps first flew in 1907, then the Air Force’s operations have really been going strong for 106 years today. It all depends on how you count it. Therefore, it is fitting to look at the entirety of military aviation when looking at the US Air Force’s illustrious history. A number of excellent publications have come out recently, both in print and eBooks, for the US Air Force, Army Air Corps and military aviation in general. The best two books covering the overall history and mission of what is now the United States Air Force are A Concise History of the United States Air Force and its recently released EPUB eBook version, as well as the extremely thought-provoking Air Force Roles and Missions: A History (also recently released as an eBook) which traces the evolution of the Air Force’s role and missions as well as the conflicts with other branches of the military over these definitions. Are you more interested in the earliest days of aviation when the Army first bought one of the Wright Brothers’ planes and its “daring young men in those flying machines” began to determine how airpower could be used for military purposes? Then you should read Logbook of the Signal Corps No. 1: The United States Army’s First Airplane in paperback or as a new eBook, which recounts the experiences of Benjamin D. Foulois, the pioneering, self-taught pilot of “Signal Corps No. 1”, the very first airplane of the United States Army Signal Corps. Another very popular publication tells the story of air espionage during World War 1: Shooting the Front: Allied Aerial Reconnaissance and Photographic Interpretation on the Western Front – World War I. World War II is when it is widely acknowledged that military aviation came into its own. Toward Independence: The Emergence of the United States Air Force, 1945-1947 tells of the rapid evolution in use of airpower in the period leading up to its formation as a separate entity. By the Korean War, the US Air Force had become its own branch of the United States Armed Forces. Several publications chronicle the involvement of the newly formed USAF during this conflict, including Within Limits: The United States Air Force and the Korean War, Coalition Air Warfare in the Korean War, 1950 1953, and Silver Wings, Golden Valor: The USAF Remembers Korea which includes reminiscences and perspectives of Korean War Air Force veterans and historians. Over 50 years later, Americans are still wrestling with the lessons of Vietnam. So, too, is the Air Force in these excellent USAF publications War Too Long: The United States Air Force in Southeast Asia 1961-1975 and War in South Vietnam: The Years of the Offensive, 1965-1968, as well as this Army digital publication, Interservice Rivalry and Airpower in the Vietnam War (eBook). When the Soviets launched Sputnik, the space race was subsequently kicked off with the United States. The Air Force role was critical during the Cold War and in both in helping start our space exploration and ongoing support through to today in support of NASA. Read Early Cold War Overflights, 1950-1956 to understand the beginning of the espionage flights, and pick up a copy of the United States Air Force in Space, 1945 to the Twenty-First Century which covers the Air Force’s involvement in space exploration. None of us can forget the images of bombs dropping during the Gulf War, the tale of which is told in Decisive Force: Strategic Bombing in the Gulf War. And anyone with family in or who themselves are in the National Guard or a military reservist knows how the Gulf Wars and Afghanistan have changed the role of these personnel from backup to active participants. One of the best books we’ve read on the subject is the excellent Turning Point 9.11: Air Force Reserve in the 21st Century, 2001-2011 which chronicles these stark changes in the Air Force Reserve since the terrorist attacks on 9.11.2001. Fans of the TV show “JAG” Will love to discover the real history of this Air Force department in First 50 Years: United States Air Force Judge Advocate General’s Department. Like the other branches of the US military, the US Air Force plays an important role in humanitarian operations, both here at home and worldwide. This publication—Wings of Hope: The United States Air Force and Humanitarian Airlift Operations—tells the overall story of various airlift operations. While it sounds like the plot of a disaster movie, the Ash Warriors (paperback) and its EPUB eBook version recounts the true story of the “Ash Warriors,” those Air Force men and women who carried out their mission in the face of an incredible series of natural disasters, including volcanic eruption, flood, typhoons, and earthquakes, all of which plagued Clark Air Base in the Philippines and the surrounding areas during June and July 1991. And the horrendous Hurricane Katrina brought out the best in the Air Force’s Air Education and Training Command, whose role is described in Operation Dragon Comeback: Air Education and Training Command’s Response to Hurricane Katrina. So join us in wishing a very happy 66th (or 106th) birthday to our very own United States Air Force. May there be blue skies in its future! How can I obtain these Air Force History publications? Shop Online: You can purchase these publications from the U.S. Government Online Bookstore at http://bookstore.gpo.gov, by clicking on the links above in this blog post or shopping our United States Air Force (USAF) History collection under our US & Military History category. Visit our Retail Store: Buy a copy of print editions from this collection at GPO’s retail bookstore at 710 North Capitol Street NW, Washington, DC 20401, open Monday–Friday, 9 a.m. to 4 p.m., except Federal holidays, Call (202) 512-0132 for information or to arrange in-store pick-up.